In late 1944, a group of Jewish volunteers from Palestine embarked on "Operation Amsterdam," a parachute mission which would take them behind enemy lines in Axis-controlled Slovakia. Their mission? To help repressed Jewish communities and aid allied forces. The group was comprised of members of the Palmach, a branch of Haganah, along with other Jews living in British mandated Palestine. After training in Egypt, the parachutists were sent to Romania, Hungary, Italy, Bulgaria, and Yugoslavia. The first group of volunteers landed in Yugoslavia in May, 1943; the last arrived in Austria in May, 1945. Many of the volunteers were recent immigrants to Palestine. Haviva Reick, one of the three women in the group, immigrated to Palestine in 1939. Another member, Rafi Reiss, arrived in Palestine on an illegal immigrant ship in 1939. During the summer and autumn of 1944, Reick and Reiss along with two other parachutists, Rafael Reiss, Zvi Ben-Yaakov, Haim Hermesh, and later Abba Berdiczew, arrived in Slovakia. While in the Slovakian town of Banská Bystrica, the group organized a refugee community center and soup kitchens during the Slovak National Uprising of 1944. 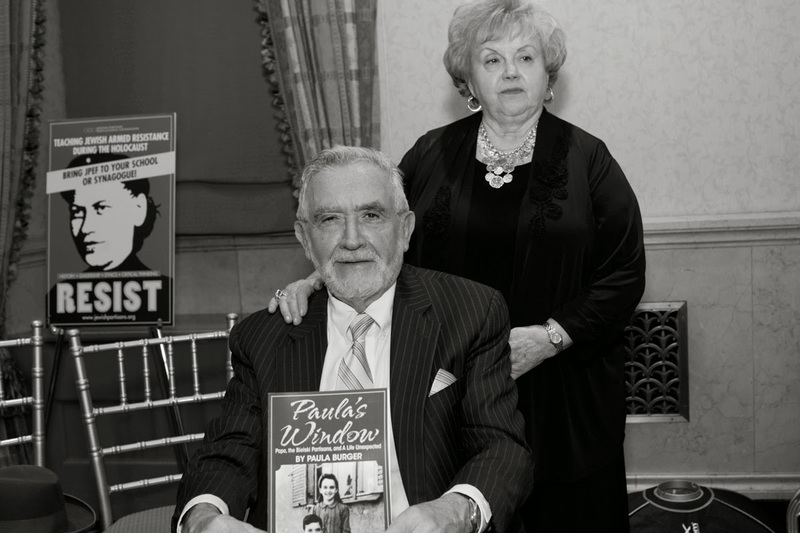 They also led a group of Jewish children to Palestine and coordinated with other partisan and resistance groups to aid western Allied prisoners of war. 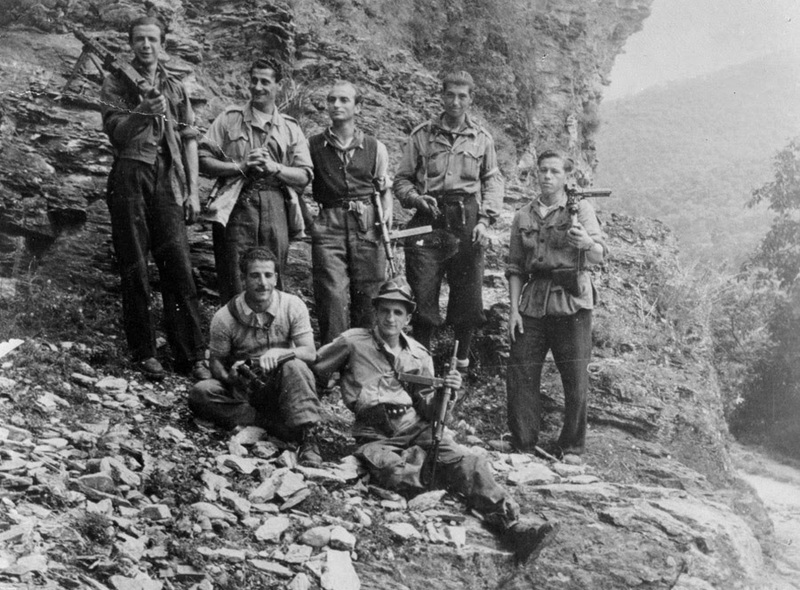 With the suppression of the uprising in Slovakia towards the end of October 1944, the parachutists gathered weapons and moved into the mountains. Of the original 37 volunteers, twelve were captured Ukrainian Waffen SS and seven executed. November 2014 marked the 70th anniversary of their untimely deaths, but their legacies are celebrated both in Slovakia and Israel, through street names, educational establishments, books and films. “I managed to [avoid] those that would denounce me,” Zvi Shefet recalled of his early days during the German occupation of his hometown of Slonim, in then Soviet-occupied Belorussia. Refusing to wear the Star of David, the sixteen-year-old Jewish partisan found ways to rebel early on, even before he went into the forest to fight. With his blonde hair, blue eyes, and a fluent command of Polish, he managed to avoid unwanted attention and only went outside when necessary. The German invasion came as a complete surprise to Zvi and his community – as in many Soviet territories, the community strongly believed in the power and protection of the Soviet army. However, the war had only lasted three days before the Germans successfully overtook the town. On July 17, 1942, the initial “aktion”1 in Slonim took place against the Jews. Zvi's family was alerted to the situation through family friends who had relayed the news through their grief-stricken faces - the couple lived in the woods and were firsthand witnesses to the aftermath of the mass killing in the forest. Fearing for their son's life, Zvi's parents planned to send him to Warsaw with a Polish family acquaintance. Feeling hurt that they wanted to send him away, he advised strongly against separating from his family. Zvi convinced his family to let him stay with them and continue to protect them as best he could. Soon after, the Germans forced all the Jews of Slonim into the a ghetto. Another aktion immediately followed: the Wehrmacht and the SS surrounded the ghetto, looking for males. Zvi and his father hid in a shed adjacent to their living area. Zvi's mother – who was fluent in German – answered the door and convinced the officers that her husband had gone off to work early and taken his schein (work permit) with him. The soldiers left soon after, commanding her not to let anyone else in the house. During this aktion, the Germans had exceeded the expected amount of Jews that they were anticipating to find, prompting the authorities to declare that the killing would cease. Though some believed this news, Zvi's parents did not. The recent increase in SS men in the town caused alarm – changes like that often meant something awful was looming in the near future. The Nazis were not only targeting Jewish citizens, but also the Polish intelligentsia. Uncertainty was an air, and no one was safe. The final aktion ended in the burning of the Slonim ghetto. Zvi's family was residing near the ghetto's edge, and thus escaped into the forest under the cover of nightfall. Zvi and his immediate family – along with some uncles, aunts and cousins – roamed the forest, motivated by rumors of Soviet partisan groups in the Pruszkov forest and the surrounding areas. They hoped the partisans would provide protection for them. The admission to partisan groups was arms, which the Shefets and their relatives had no possession of. The group eventually went their separate ways, due to a fission that occurred when Zvi's uncle secured a spot with the Soviet partisans for only himself, his wife and two sons. Soon after, however, Zvi and his family found a partisan center in the forest near Okinowo. This place was well-known – former POWs organized the activity of various partisan groups here. 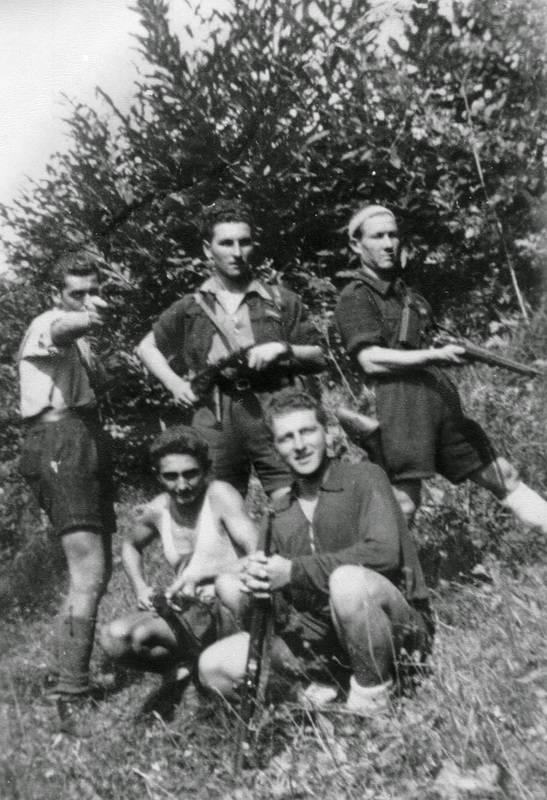 After a few days, Zvi was accepted into a resistance group called Detachment 51, and his family was assigned to a detachment created for the partisans' family members. Due to the prevalence of antisemitism among the ranks of the Soviet partisans, a group of Jews eventually broke off and created their own unit, comprised solely of Jewish partisans. They also called themselves Detachment 51. Zvi asked to join this group. The commander, Yefim Fiodorowicz, had excellent leadership qualities and was able to inspire the group into becoming excellent fighters. The group membership was also more lenient towards women, who fought alongside their male counterparts. Zvi continued to fight in Detachment 51 until Fiodorowicz perished; Zvi had no choice but to join another Soviet partisan unit - he fought with them until the area was liberated by the Soviet army in 1944. Unfortunately, Zvi's family was killed in 1943, when a group of Soviet partisans attacked his family's detachment instead of protecting them as they promised to. Zvi Shefet visiting the cemetery at Czepelova. Photo courtesy of eilatgordinlevitan.com. Born Mordechai Shlayan, Motele was out when the Germans forced their way into his house and murdered his entire family. He resorted to living in the Volhynia forest in Ukraine, close to the town of Ovruch. 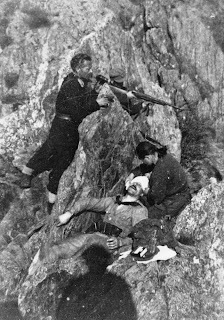 Misha Gildenman, leader of an all-Jewish partisan group, came across the young boy in the woods and took him in as his own son. In Uncle Misha’s partisan unit, Motele was a valuable asset because he could go into town and no one would assume that a child this young had ulterior motives. With his fair skin and blond hair, Motele was easily able to hide his Jewish identity and pass as a Ukrainian. His musical talent also made him an irreplaceable resource to the group – it gave him a reason to be in towns and villages, and allowed him to gather crucial information useful to the group. In August 1943, Gildenman was receiving daily reports of towns and cities that had recently been liberated by the Soviet army. Keril, a contact in Ovruch, relayed the message to him that the Ukrainian police in the city wanted to surrender. Having learned not to trust any good news too soon, Gildenman sent Motele to see if there was any truth to the rumors. As a skilled musician, Motele was sent to play in town for money with the other beggars. His talent – as well as his beautiful renditions of popular Ukrainian folk songs that he remembered from the streets of his own hometown – soon separated him from the other street musicians. In his pocket, he carried carefully forged papers that gave him the new identity of Dimitri Rubina. His music caught the attention of a German officer, who hired the young violinist to provide musical entertainment for German soldiers in the Soldiers’ Home after he effortlessly sight-read a piece by the famous Polish composer Ignacy Paderewski. Motele was given free lunch and dinner as compensation, and soon noticed a worn-down storeroom adjacent to the basement kitchen that he ate his meals in, whose cracked walls had just enough room to lodge a bomb between them. With Gildenman and the partisans’ assistance, Motele constructed an elaborate plan to blow up the Soldiers’ Home. Popov, Gildenman’s explosive expert, taught him how to assemble a bomb. For several nights, Motele left his violin in a discarded crate and smuggled the explosives in his empty violin case. Now they only had to wait for an opportune moment to arise. As fate would have it, this opportunity happened sooner than expected: Motele heard word that a division of high-ranking SS officers were being re-routed through Ovruch – traveling by rail was thought to be too dangerous due to all the recent partisan demolition activity on the railroad tracks. Everything went according to plan and at three in the afternoon, SS officers arrived in their polished boots and limousines. Dinner was served, wine was drank and merriment was had. Shortly after eleven, a boy ran out of the restaurant into the darkened street – and the men inside met their fate. 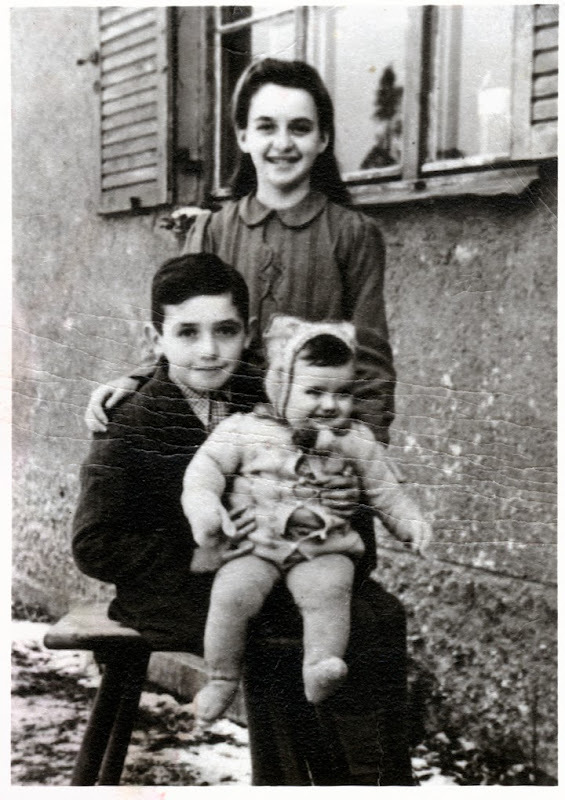 Motele was killed in a German bombing raid in 1944, when he was only fourteen years old. In 1996, Amnon Weinstein, a master violinmaker residing in Israel, began an extensive search for violins that had once been played by Jewish prisoners and partisans in concentration camps, forests and ghettos. Twenty-four violins were recovered and restored. One of these was Motele’s. In September 2003, it was played before thousands of people in Jerusalem in a gala concert in the Old City. Author Lauren Tarshis recently released an exciting edition to her I Survived series, published by Scholastic. Subtitled The Nazi Invasion, 1944, this short yet dramatic tale perfectly suits educators who wish to introduce elementary school students to the subject of the Jewish partisans. The story centers around 11-year-old Max Rosen and his younger sister, Zena: newly orphaned inhabitants of the Jewish ghetto in Esties, Poland during the Nazi occupation. Tarshis expertly uses age appropriate language and content to paint a vivid picture of the children's adventure as they escape from the ghetto and are taken in by a group of partisans in the forests of Loda. 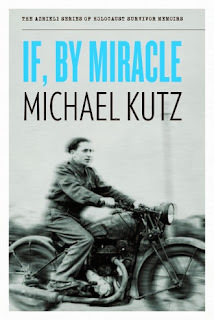 The author bases the characters in the book on the life stories of a number of partisans she learned about during her research: Leizer and Zenia Bart, Miriam Brysk, Leon Kahn, Ben Kamm, Vitka Kempner, Ruzka Korczak, Abba Kovner, Miles Lerman, and Shalom Yoran. More information about these individuals is available at www.jewishpartisans.org/partisans. I Survived: The Nazi Invasion, 1944 provides an intriguing and exciting account of the experiences of the largely unrecognized efforts of Jewish resistance to the Nazi regime of WWII. As a supplemental resource for the study of the Holocaust, Max and Zena's tale of escape, hiding, and battle, provides a personal and relatable viewpoint for students. The historical fiction genre, when approached with the care and accuracy of Lauren Tarshis, can provide an informative and engaging tool on which to build classes, projects, and plays. For more on this book, visit www.scholastic.com/ISurvived. For recommendations on other material related to the Holocaust and Jewish partisans, visit the author's website at www.LaurenTarshis.com. 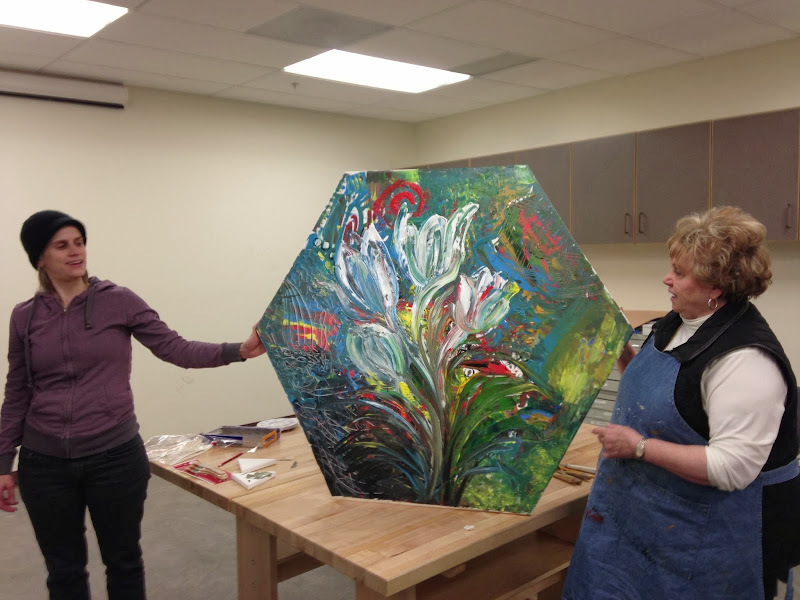 JPEF's experiential activities and resources are simple to use and require minimal preparation: just select the material from our RESIST curriculum page, print, review, and go. We also offer online training video courses to help you and your counselors get the most out of our materials, which you can access by logging-in to JPEF and selecting a course from the e-learning page. We recommend starting with Resistance Basics. Women in the Partisans: Girl power! Rosh Chodesh, Tisha B’Av, Havdallah: Email us for information. Printable Poster: Eta Wrobel - RESIST! Samuel Levi was born in 1922 in Sofia, Bulgaria. His father was a grocer in their tight-knit community. Samuel was a student at the Komsomol (Communist Youth League) attending political and cultural classes in 1940, shortly before the Germans invaded Bulgaria. Forced into a labor camp near the border with Greece, Samuel watched as Greek Jews were marched to concentration camps. The conditions in the labor camp were harsh, and as food began to run out, Samuel knew he must escape. He followed a group of Greek Jews being marched through his camp, and escaped outside the camp walls. It was unusual for partisans to get a full night’s rest, because of the constant dangers. The group would sleep out in the rain in the summer, but the partisans liked this, because for once they could speak to each other out loud and sing, the noise of their voices drowned out by the lighting and thunder. These partisan groups helped tremendously to prepare the groundwork for the Russians, who entered Bulgaria in 1944. Samuel recounts his feeling of impending death as a partisan: “For the one year and four months when I was a partisan, I never thought that I would remain alive. No partisan did. We knew that we could all die but die proud that we did something against the fascists.” Samuel lives today in Israel with his wife and has a son, a daughter, four grandchildren and two great grandchildren. 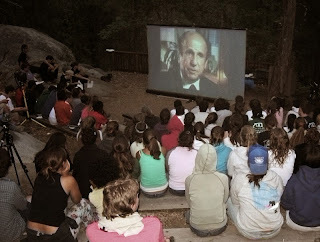 Visit www.jewishpartisans.org for more about Sam Levi, including five videos of him reflecting on his time as a partisan.